Meet Chibi Luffy and his trusty navigator, Nami! These two tiny pirates may be little, but they both have BIG hearts for adventure! I'm sure Chibi Luffy and Nami will have a blast sitting at your desk because we all know how exciting it is to be watching someone do homework, check email, and all that monotonous -- I mean, magnificently adventurous -- stuff! Their patterns are in my Etsy store. 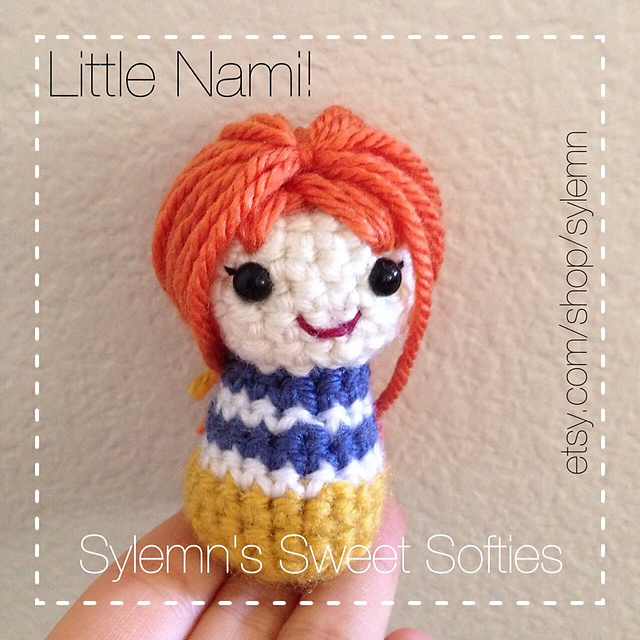 Click here for Luffy, and click here for Nami! 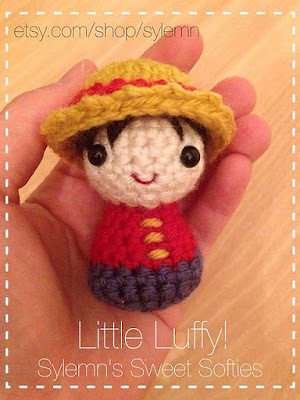 Note: Please click here to see another version of Luffy that I have crocheted.